We’ve all heard the jokes and seen the cartoons about terrified patients waiting for a root canal to be done. This may have been true decades ago, but modern technologies and medicine have made it as pain free as getting a filling. Unfortunately, a lack of understanding means that there are still a lot of misconceptions about the procedure. Here’s what you need to know. The tooth is made up of the hard outer enamel layer, a second hard layer called dentin and soft tissue at the core. This tissue contains nerves, connective tissue and blood vessels. This is what helps the teeth to develop during the growth stage. When the gets pulp damaged, it may become inflamed due to infection, and be extremely painful, often to the extent of being incapacitating. There could be many possible causes for this inflammation including decay of the outer layers, cracks or chips in the tooth, faulty crowns and repeated dental procedures. Trauma to a tooth, even if there are no visible signs of damage, can also damage the pulp. This inflammation must be treated quickly. Not only does it cause great pain, it can also lead to an abscess forming. When a root canal procedure is done, the damaged pulp is carefully removed from the inside of the tooth. The empty space is then carefully disinfected and completely cleaned before being sealed with a special filling material. The final stage is restoring the tooth with a filling or crown to protect it from future damage. Once the process is completed, the treated tooth functions like any other. In a fully developed adult tooth the pulp is not essential because the tooth will continue to be nourished by the surrounding tissue. After the treatment there may be some soreness in the affected area and in the jaw. This normally lasts for just a few days. Medication is prescribed to control any discomfort. Most patients are able to return to work within a few hours of the treatment. It depends a lot on the type of anesthesia used and your overall physical condition. Allows for efficient chewing of food. Enables normal biting force and sensation to be retained. Prevents any excess wear or strain on the adjoining teeth that could leads to other dental problems. Keeps the natural appearance of the tooth. Gives you a natural smile. The major benefit of root canal treatment is that you will be able to retain your natural tooth. If a damaged tooth is extracted, there are possible side effects like the adjoining teeth shifting which could result in those teeth needing treatment, bite problems and so on. Although modern tooth replacements are very good, they can never take the place of your natural teeth. 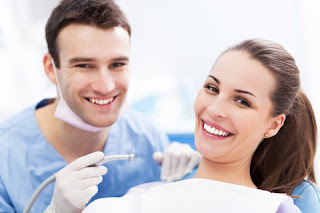 With proper care and regular preventive dental checkups, teeth that have received root canal treatment can last as long as other teeth and ongoing dental work is rarely required. If your dentist tells you that you need to have a root canal done, there is nothing to worry about or pain to be afraid of.